Water ATM (padhero) launched in Nepal for the first time at Lalitpur district by Kathmandu Upatyaka Khanepani Ltd (KUKL). 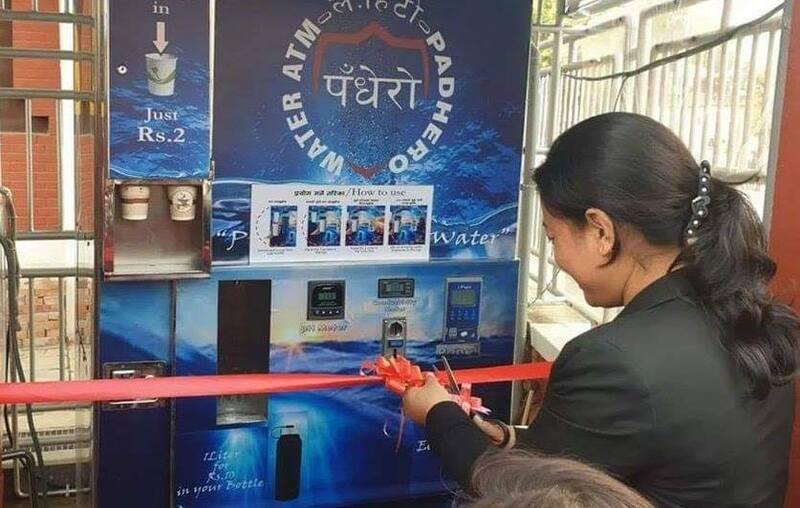 It was inaugurated by Minister for water supply and sanitation Bina Magar, she publicly drank the water after operating the ATM (padhero). To drink water from water ATM you need to pay Rs. 2 for 200 ml. and Rs. 10 for 1 liter water.Water ATM will dispense 200 ml water for Rs. 2 and 1 liter for Rs 10. KUKL said that they will put more water ATM at public places.